One of the simplest ways to help protect your family if you are unlucky enough to have a fire situation at home is to have working smoke alarms. It is a legal requirement that your home has smoke alarms that are checked and working. The Daylight Savings Period in Victoria comes to end on Sunday, 7th April. This is great time to change your clocks, change your smoke alarm batteries, give the units a dust and test their functionally. Many people are unaware that Smoke Alarms, regardless of model or power source, need to be replaced with new units every ten years. 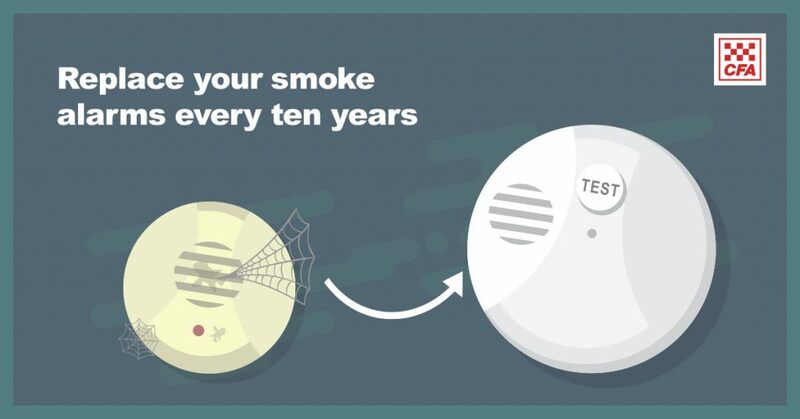 Smoke Alarms are designed for a ten-year life span and may start giving false alarms or give no alarms after this time. Take the opportunity over the next few weeks to get up and check your alarms for their date of manufacture and arrange replacement alarms if needed. Remember that most smoke alarms in your homes will be hardwired in if the home was built after 1997 and you will require an electrician to change the units. 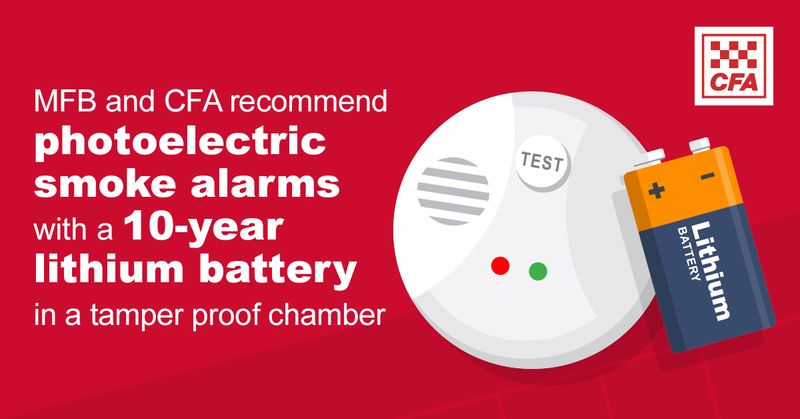 CFA & MFB recommend the use of Photoelectric Smoke Alarms that are checked regularly and replaced every ten years.